"But a segment of the public never bought into the official explanation of Kennedy's assassination, citing video clips, interviews and science experiments in an attempt to prove Oswald, who was himself assassinated two days after Kennedy, did not act alone." A 2013 Gallup poll actually places this segment around sixty-one percent of the American public. This is hardly a measly "segment" of the public. It is plainly never surprising to read the always-uninspired literature churned out by the mainstream media giants. Both CNN and Fox News have produced their respective versions of hollow reporting, taking refuge in the safest of places: the official narrative. As I have reiterated throughout the build-up to this long-anticipated release, the documents are unlikely to reveal any information which specifically conflicts with that official narrative, which is nothing more than the contrived fairytale of seven self-obsessed, sociopathic men dressed in suits, some of whom admittedly harbored serious animosity toward President John F. Kennedy and his political agenda, which included the reformation of the Central Intelligence Agency and the de-escalation of the campaign in Vietnam. In summary, devoted truth seekers, otherwise pejoratively known in this context as conspiracy theorists, need not await any stamp of approval from any three-letter agency or government-sponsored commission, to conduct their own investigations and draw their own conclusions. 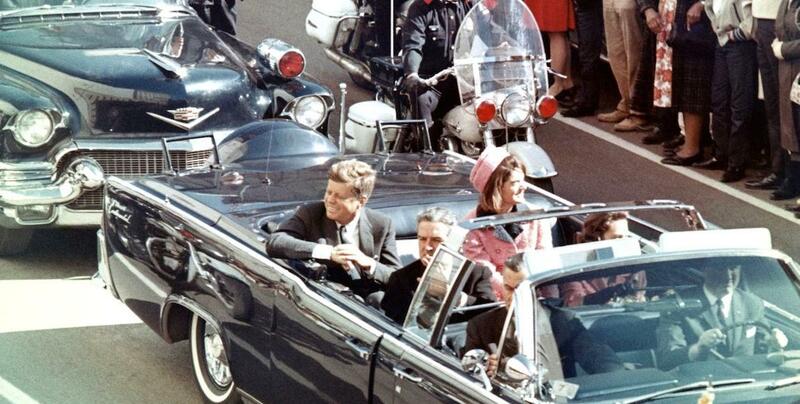 In fact, this has been ongoing for over fifty-four years, and its probability of continuing into the future is, oddly enough, commensurate with that level of probability identified by the House Select Committee on Assassinations in 1979, when another fourteen men in different suits arrived at the conclusion of a probable conspiracy related to the murder of President Kennedy. Ultimately, the Warren Commission has long benefited from its puissant position as prima facie evidence, which psychologically impairs the layman's judgment in the face of future contradictions or new discoveries. Much as imprinting causes young animals to develop a sense of trust in their caretakers, constituents all too often rest their heads on the gospel of their political masters: still other men who wear fancy suits, spew articulate sophistry and distribute digestible lies under awesome letterheads. As time passes, conventional wisdom becomes increasingly susceptible to the official narrative. That narrative is written through the literary lens of authors subjected to their own biases and limited understandings. The case of the JFK assassination appears to illustrate this trend, whereby the uncritical respondent has become increasingly accepting of the long-debated conclusion of a lone gunman. Despite the American public's enduring reluctance to accept this story and the HSCA's 1979 conclusion of a probable conspiracy, most historical texts and encyclopedias bear Lee Harvey Oswald's name as the lone assassin. This is precisely how fiction becomes fact, as the critical minority yields to the unrelenting tide of unquestioning public opinion, or in this case a new and indifferent generation replaces its predecessors who vividly remember those events and feel personally invested in that history. The search for truth is ceaseless, and it is scarcely found in print, regardless of its syntactical sophistication or the boldness of its font.